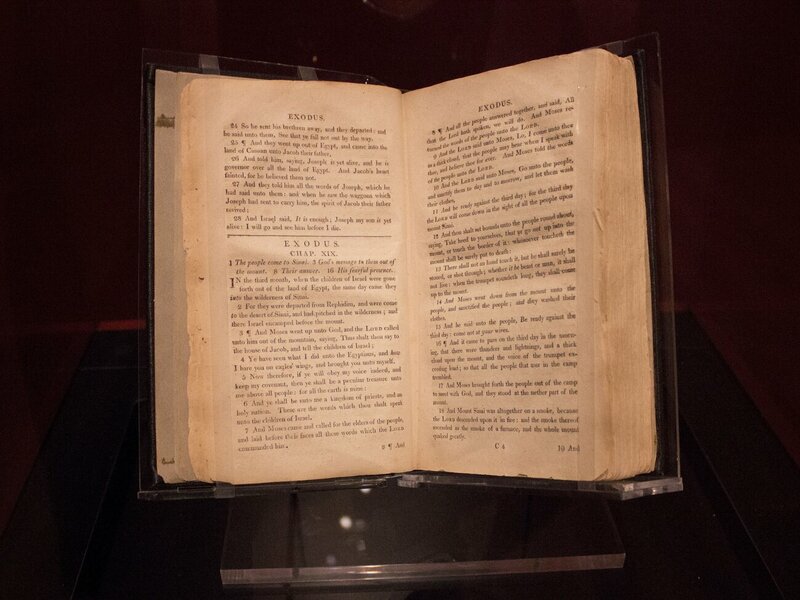 A fascinating exhibit in Washington, DC on the Slave Bible. What is the Slave Bible? It was a heavily reacted book with anything removed that could have supported slaves seeking their freedom. It’s a sad but also interesting story, and more of the details are here: Slave Bible From The 1800s Omitted Key Passages That Could Incite Rebellion : NPR. This entry was posted in religion and tagged Bible, freedom, religion, slavery, Washington. Bookmark the permalink.